Join critically acclaimed, prize-winning comedians Omar Hamdi, Esther Manito and Amrou Al-Kadhi for some stand-up comedy. 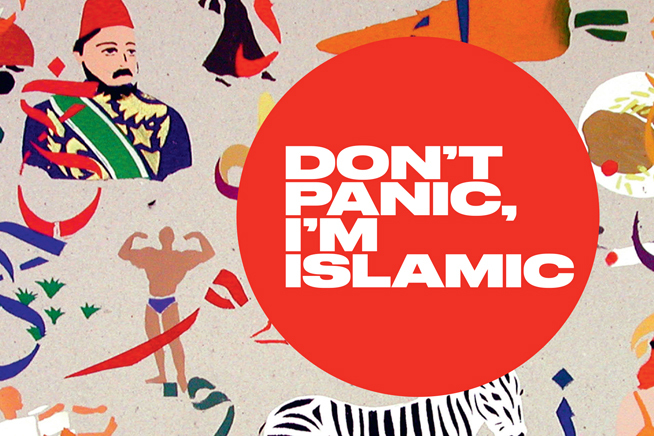 All published in Don’t Panic I’m Islamic, which was released by Saqi Books this summer in response to Trump’s ‘Muslim Ban,’ they will later be joined by journalist, author and broadcaster Bidisha for a lively look at what the arts and comedy can do to combat stereotypes and regressive identity politics. This event is based on the satirical collection, Don’t Panic I’m Islamic: Words and Pictures on How to Stop Worrying and Learn to Love the Alien Next Door, published by Saqi Books in partnership with Arts Council England and the Arab British Centre. Copies of the book will be available to purchase on the night. Esther Manito is an up and coming Lebanese-British comedian. She has been listed as ‘One to watch’ 2016 by Funny Women and will be performing stand up at Edinburgh Fringe this summer.